We relied on a free service called HARO to interview over 50 people and create 7 original posts last year. Here is what we learned. What you are here to find out is how we tried to combat unoriginal content internet is flooded with. For example, there are almost 89 million results for “Effective Teamwork” search on Google. Similarly “Creating Organizational Culture” long tail has over 7 million hits. Most of these posts are packed with content that’s being reused and rewritten time and time again (often just enough to pass the Plagiarism Checker). And most of the time, their sole purpose is to house a backlink to the desired website. First reason: Google (as the most important representative of the “search engine” crew) has a thing against plagiarism, and it’s punishing it severely. Second reason (and a true motivator for our somewhat unconventional move): readers no longer believe that any ol’ blog post will deliver the information they crave. Nowadays it is all about credibility: who wrote the post, where is the post published, and which sources were used (Hats down to HBR). These facts were kept in mind when we came up with this specific tactic within our content strategy. Things were looking good from the get-go. We had our in-house writers, a couple of them with an excellent reputation - which solved the credible author issue. We had our ActiveCollab blog page with some excellent posts already up and running - so the outlet was prepped. All that was left was to find some credible and reliable sources which would make our content stand out. We wanted our readers to learn from examples. But to achieve all that, we needed to interview real people. 3. Compare and learn from experience and examples of others. To be perfectly honest, HARO implementation was more of an “accident” than a planned maneuver. During the early days at ActiveCollab, while doing some research, I came across a blog post which listed several useful and free tools to get your PR up-and-running. Luckily, HARO was a part of that list. And it was just what the doctor ordered. Essentially, it’s a service that helps reporters (writers) find sources for their stories. Reciprocally, it offers sources some PR exposure, and, in some instances, even a dofollow link to the website of their choice. It’s a win-win situation: the writer gets a unique and credible content, while the source gets a well-deserved mention and some sweet link juice. 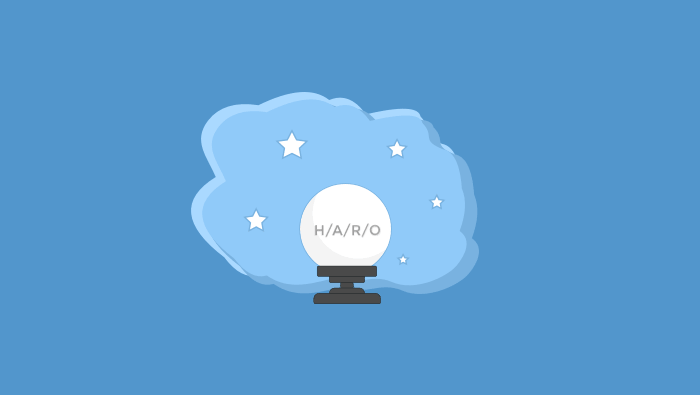 HARO is free for journalists/writers as well as sources if they don’t want advanced filtering capabilities. If you want to know more information, check out their website. As a writer, you send out a query that falls in one of 13 given categories (we always picked “Business and Finance” and “High Tech” category), by leaving your email address, media outlet and it’s URL. Note that there is an option to make query anonymously, but I wouldn’t suggest it: we tried that approach, and our response rate plummeted. Queries are sent out three times a day - morning, noon, evening - Monday to Friday. You can set the deadline as well after which the query is no longer valid and sources cannot respond to it anymore. After the initial query, the entire correspondence moves to the email address you provided. The moment answers start coming in; you should arm yourself with patience and a rigorous filtering tendencies. There will be attempts of shameless product promotion, straight up out-of-context answers, and a lot of “I already wrote about this on my blog, here’s the link” answers. However, in the sea of more-or-less promotional pitches, there are usually some excellent answers you can use. Summary of the query should be as specific as possible. For example: “How to train high-performing team by using Scrum”? The query should be expanded with two additional questions at least. Letting sources know the preferred angle of the story will allow them to pitch the best response. Source profile should also be as specific as possible (goes into the Requirements field). For example: Scrum masters with 2+ years of experience only. Always ask for examples. A theory is well known and easily copy/pasted. We had the best response rate with the morning query, sent out on Tuesday and Wednesday with a two-day deadline. This trend makes perfect sense: Mondays are hectic, Fridays are more laid back, and not everyone checks HARO queries daily. Once you get your answers, filtering may begin. After removing the spam mentioned above, you are left with approximately 15 emails which can add some value to your readers (how much value, depends on the answer). The first thing you should do is respond and send them an additional question - a subquestion if you will - and check for source’s “willingness to cooperate”. Over 90% of the time you will get your answer. One more thing you should keep in mind: handling HARO sources is very time consuming and will take up around 40% of time dedicated to post writing. Disclaimer: you shouldn’t use this sourcing approach to help you cover every single article. Think of it as an excellent tool for creating posts meant for readers that are outside, or in the top layer of your sales funnel. With that in mind, we made sure that all topics covered by HARO are meant for raising brand awareness rather than acquisition. How to Train High Performing Team Using Scrum - 3 people took part. Over 95% people interviewed promised that they will share posts on their social media channels. And luckily, most of them did. Remember, writing a blog is a part of the business. And in business, you get nothing for free. Similarly, the people that provide you with their insight (their knowledge and their time) will want something in return: most often, it’s a link back to their website. Some sources conditioned us with this request - others were delighted that we were willing to link-up in the first place. Different people wanted different things. Sometimes we would provide links to LinkedIn accounts and podcasts, but most often links we create lead straight to the source’s company/marketing website. It’s true: we tried to move on the other side of HARO and become someone else’s source. Mladen (our Marketing manager, self-proclaimed marketing ninja, and an author of an excellent post on ActiveCollab SEO strategy) featured in a couple of posts. Apart from expanding our brand awareness and link portfolio, Mladen was responsible for additional referral traffic. Similarly to trying to find a perfect source for your story, becoming someone’s source can be very time-consuming. Not only you have to go through dozens of queries three times a day, but there is no guarantee that you will ever receive an answer or that your pitch will make into the article you applied for. As a writer or an author, you will get a unique insight into any topic, provided by a source willing to stand behind their statements with their full name. Just be aware that some will try to manipulate you to write about their product or service. At that point, your best (and only) defense is better judgment. Just don’t get swindled. Remember that the goal here was to create original content based on real-world examples - and we achieved that. It took some time and a lot of “human interaction”, but we managed to create 100% original posts with advice based on experience. Personally, I am very pleased and proud of this small project. We tried something unconventional and unusual for our niche, and it worked: 7 posts brought around 15,000 new people to our website without a dollar spent on promotion. Therefore, my dear HARO, credit must be given where credit is due. Cheers!